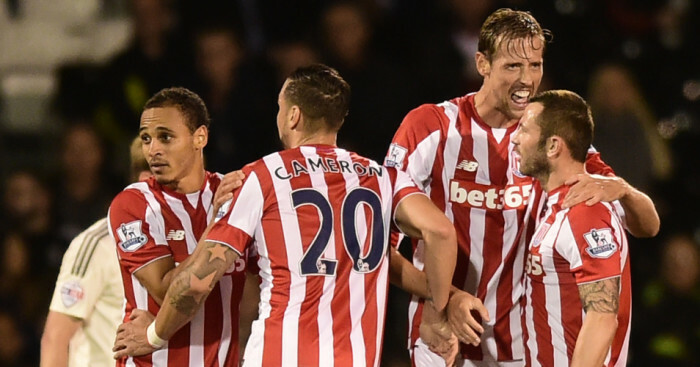 Peter Crouch’s first goal of the season helped Stoke into the Capital One Cup fourth round after a 1-0 win over Fulham at Craven Cottage. 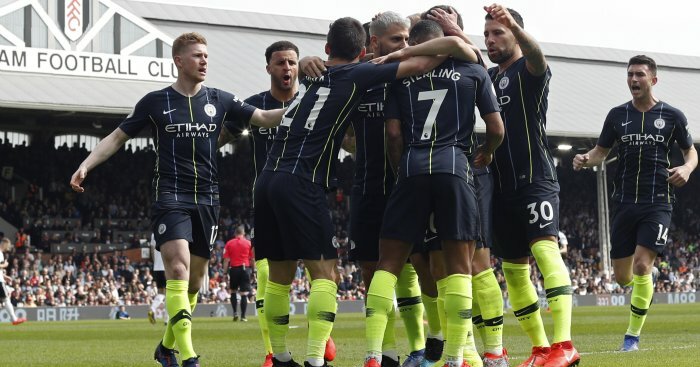 The Potters made eight changes from their weekend draw with Leicester as Crouch started just his second game of the campaign, but they still had enough to see off a Fulham side who were consigned to the Championship following a defeat at the Britannia Stadium 16 months ago. Having started in the penalty success against Luton in round two, Crouch scored in the first half after clever link-up play with Peter Odemwingie, another player on the periphery of the team, to seal a 1-0 win – Mark Hughes’ first at Craven Cottage since he left the club acrimoniously in 2011. 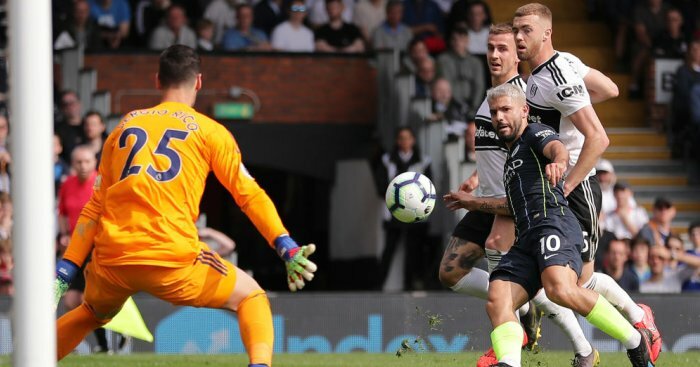 Fulham were the first side to create a chance of note as Alex Kacaniklic’s cross-shot was kept out by Shay Given before the visitors, who have yet to win in the Premier League this season, took control. Odemwingie drove a shot just wide of the post before exchanging passes with Crouch, who finished well despite close attention from Richard Stearman. 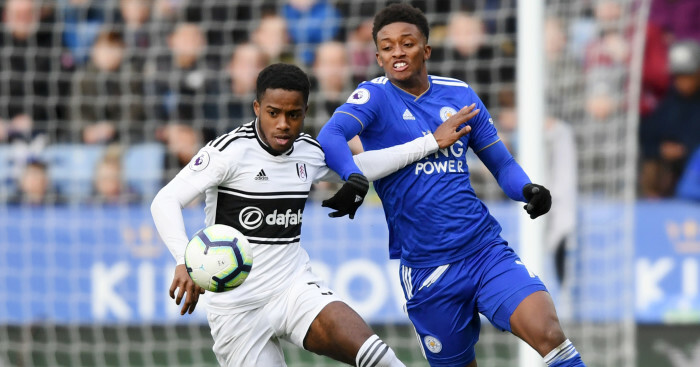 Fulham missed a golden chance to equalise after the break when skipper Ross McCormack failed to make telling contact with Ben Pringle’s cross when three yards out. Moussa Dembele was the next to try his luck but the second-half substitute could not keep his volley down as Given’s quiet night in the Stoke goal continued. Odemwingie was guilty of missing a simple chance to wrap up the win as his attempted deft finish drifted harmlessly behind for a goal-kick. Stoke were almost made to pay when Given’s poor clearance fell to Lasse Vigen Christensen but the Denmark Under-21 international’s speculative looping effort dropped wide of the mark. With the tie still finally balanced, Marko Arnautovic arrowed a late shot wide while Given rolled back the years to make a superb save, diving back across his goal to paw away Christensen’s half-volley. 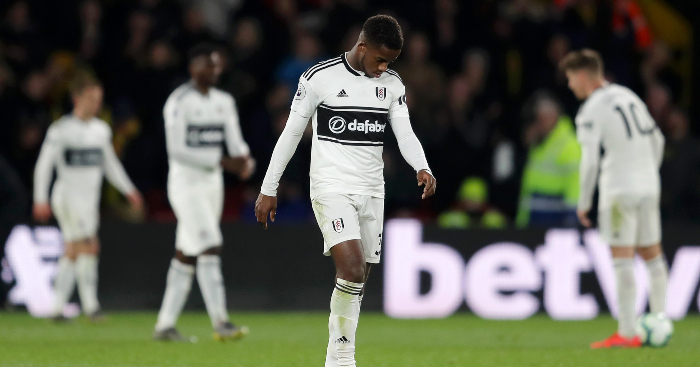 Fulham were not finished and Dan Burn, thrown up in an attempt to give some height to the attack, instead hit the crossbar with a well-taken strike as Stoke’s defence clung on to move into the last 16.